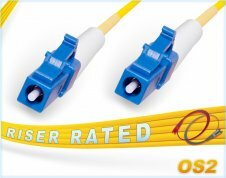 OS2 LC LC Single Mode Fiber Patch Cable | Simplex 9/125 LC to LC Singlemode Jumper Cord. Manufactured with the highest quality Corning optical fiber glass and terminated with durable 1.25mm ceramic ferrule LC fiber patch cable connectors. Industry standard yellow SM jacket with 2mm diameter, zip-cord reinforced, OFNR riser rated, PVC fiber optic jumper cord. Connector 1 LC Simplex, 1.25mm form factor, ceramic ferrule fiber patch connector. 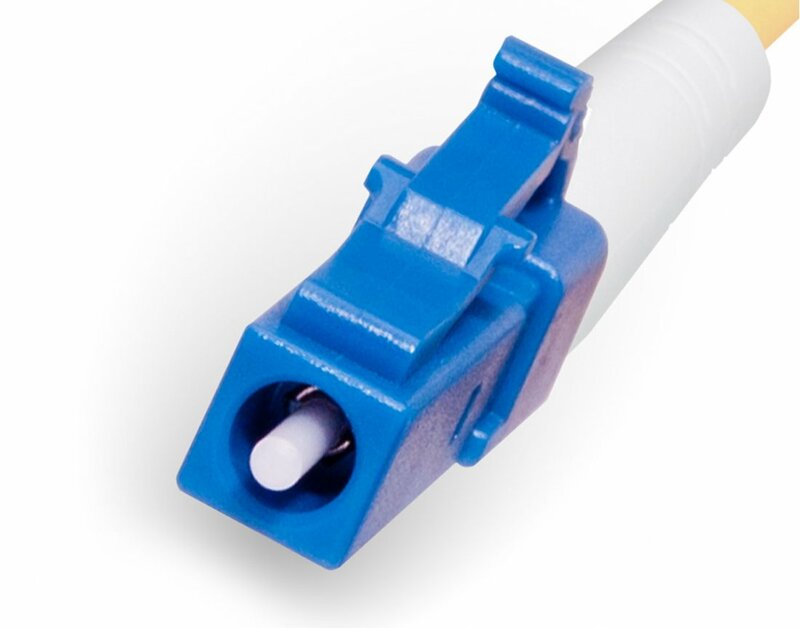 Connector 2 LC Simplex, 1.25mm form factor, ceramic ferrule fiber patch connector. OS2 LC to LC 9/125 Singlemode Simplex fiber optic cable with Corning optical fiber. 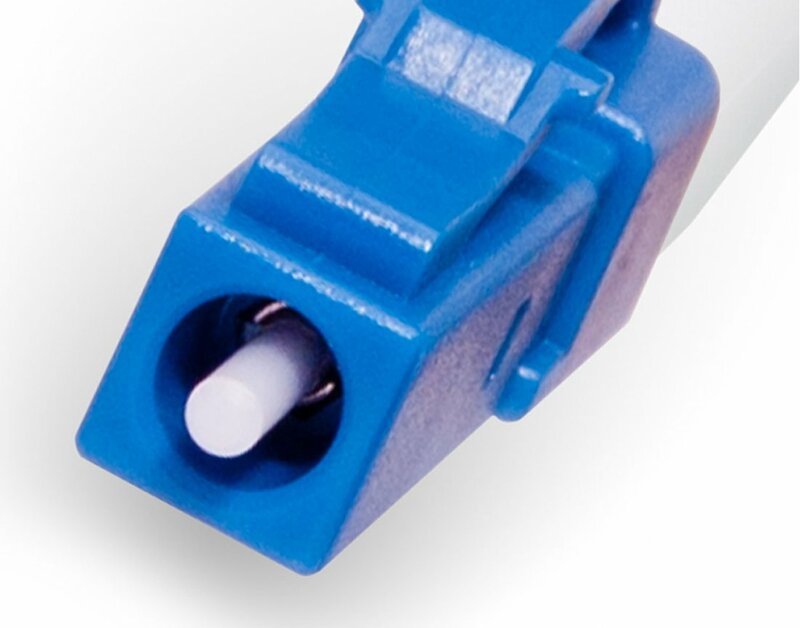 Terminated with durable, high quality, small 1.25 mm form factor, ceramic ferrule LC connectors. OS2 single mode fiber transmission distance can reach 5 km and up to 10 km. 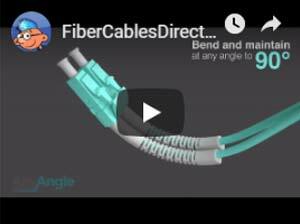 Our single mode fiber (SMF) is designed for long distance 10Gb Ethernet applications that require a high bandwidth fiber optic networking solution. 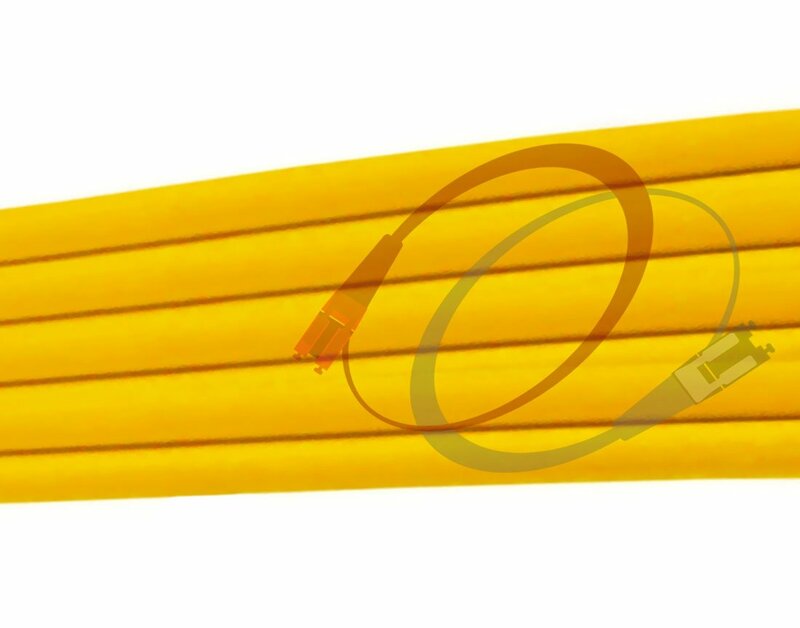 A yellow jacketed, zip-cord reinforced, 2.0 mm outer diameter, OFNR (Riser Rated) PVC patch cord that's flame retardant, UV resistant and immune to electrical interference. Each fiber optic cable assembly is individually tested and carefully packaged to ensure safe delivery. 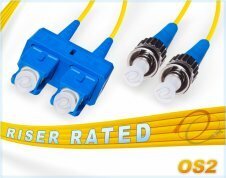 We also provide complete test results packaged with each fiber optic jumper and a Lifetime warranty on all our fiber optic products.